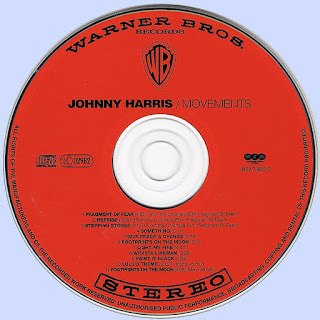 Johnny Harris is a composer, arranger, conductor and producer whose musical career spans more than 60 years. He trained at the Guildhall School of Music and Drama, specialising in trumpet and piano, and spent his early career in the 1950s playing in dance bands. Towards the end of that decade, he had his first opportunities to arrange as part of Cyril Stapleton’s band. His time at Pye Records in the 1960s saw him work with Petula Clark, Lulu and Françoise Hardy as well as a host of less familiar acts whose recordings have since been rediscovered by fans of Northern Soul and British girl singers. For two years at the end of the 1960s, Harris was Tom Jones’ musical director. The two men formed a dynamic partnership, with Harris himself attracting a lot of attention as a result of his energetic conducting style. In 1970, he helped turn around the career of Shirley Bassey, with whom he recorded ‘Something’ and an LP of the same name which went on to become Bassey’s biggest selling to that point. 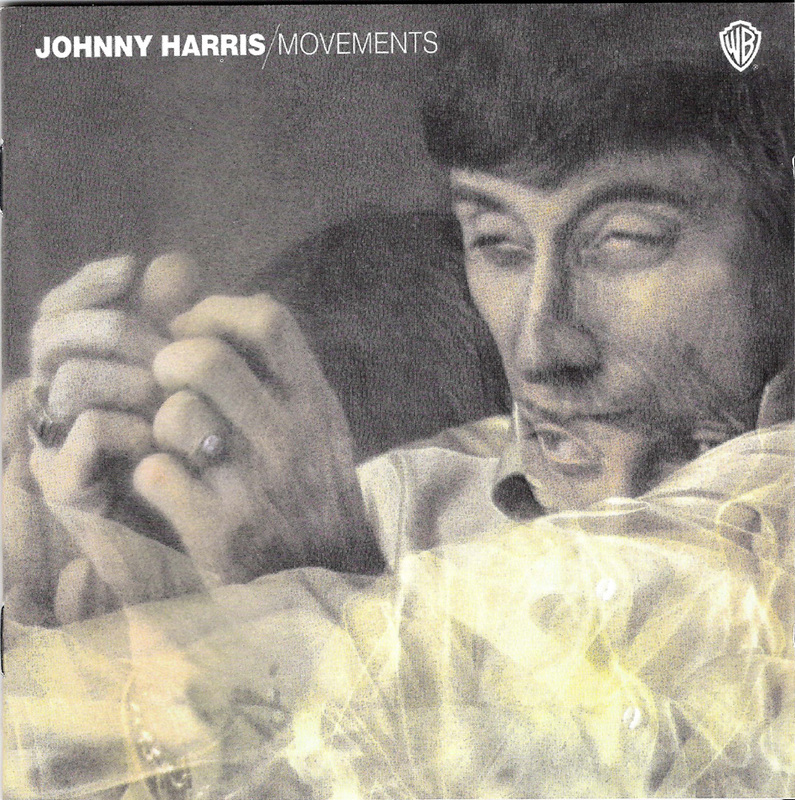 The two recorded a total of six albums together, with the singer telling the NME in 1971 that in Johnny Harris she had found her ‘husband in music’. Harris moved to the USA in 1972 where he began a long musical relationship with Paul Anka, as well as working with George Hamilton, Lynda Carter, Diana Ross and many others. Born in Edinburgh, Scotland. 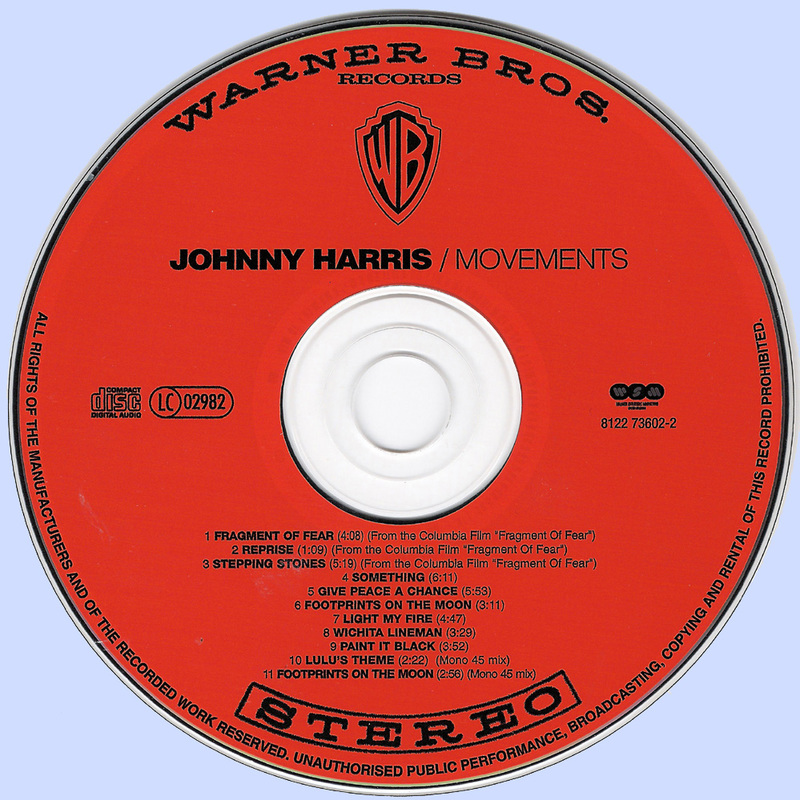 Despite ambitions to write and record his own work, Harris principally made his name as a musical arranger. His 1970 album, Movements, comprised mellifluous brass and woodwind, combined with the then novel VCS3 synthesizer, on treatments of standards such as ‘Paint It, Black’ and ‘Light My Fire’. Harris began his musical career by arranging two legendary British soul singles - Lorraine Silver’s ‘Lost Summer Love’ and A Band Of Angels’ ‘Invitation’ - both staples of the Wigan Casino all-nighters. 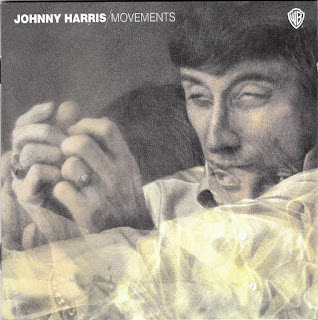 1970 "Movements" is his most sought after release and it's aimed to please fans of soundtrack funk, groovy easy listening, and brit pop psychedelia. Highlights include the heavily comped "Fragments of Fear," the flutastic percussive groover "Stepping Stones," and his moody instrumental interpretation of the Stones' "Paint it Black" that is bound to excite the most seasoned of beat diggers. Fragments Of Fear" and "Stepping Stones" from the Columbia motion picture "Fragments Of Fear"